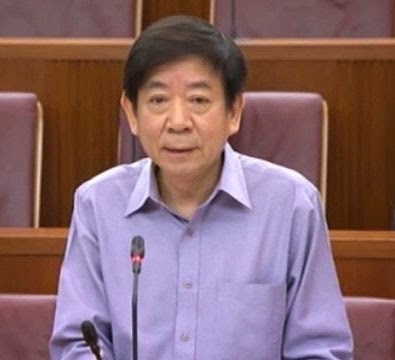 Existing concessions are already in place for those looking to upgrade their properties, and these are "reasonable and sufficient", said Minister for National Development Khaw Boon Wan on Monday (Aug 4). MP Foo Mee Har asked in Parliament on Monday if the Government will consider relaxing some property cooling measure such as those relating to Additional Buyer's Stamp Duty so Singaporeans who meet the total debt obligation cap of 60% can upgrade their properties while remaining financially prudent. In response, Mr Khaw said: "The property market cooling measures are intended to keep our housing market stable and sustainable. They aim to encourage financial prudence among home-buyers and moderate property prices. "Various concessions are already in place to benefit upgraders. The existing concessions are reasonable and sufficient. Any move to relax the cooling measures, including broadening these concessions, is premature under market conditions." The minister said such a move could lead to an upswing in demand, which would increase the number of transactions and raise housing prices. "This would not be welcome to Singaporean home-buyers, particularly those with aspirations to upgrade," Mr Khaw added. Update (Aug 5th): Here's one more "concession" that we read about today - an upgrader may qualify for the highest loan-to-value limit of 80% on his second loan if he is able to provide documents to his bank to show that he will be selling his existing home. However, there is no mention of what the "grace period" is (6 month?) and what happen if the upgrader is unable to find a buyer at the end of the grace period. No Comment to " Minister Khaw: Not time yet to relax property cooling measures... "